Tim Sandle was featured in the American Pharmaceutical Review video ‘Clean facility of the future’. Biopharmaceuticals have traditionally been produced in sterile environments as a means to ensure product quality and to reduce failed batches. In addition, as more scrutiny is put on the manufacture of all types of products, oral solid dosage manufacturers are investing in equipment, technologies and expertise to move their processes towards a cleaner manufacturing environment. 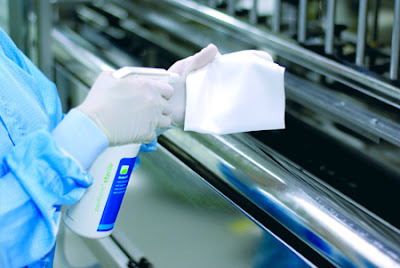 How do both sides of the industry ensure their products are produced in clean modern facilities? What are the latest tools, techniques, services and best practices to manufacture the highest quality products while minimizing or eliminating the possibility of batch failures or regulatory intervention? The Clean Facility of the Future documentary will explore these issues and more by talking to many thought leaders on this topic including: regulatory, end-users, consultants, equipment/service providers.